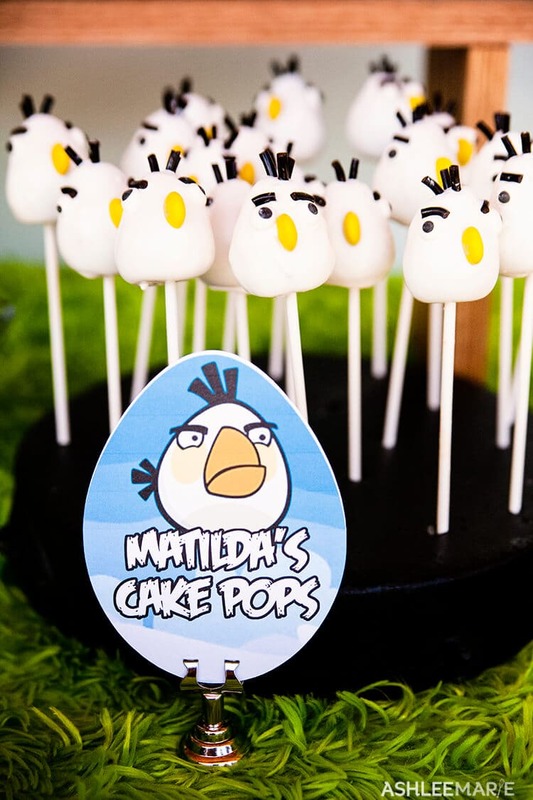 A tutorial on how to make these egg shaped Matilda angry bird cake pops for my son’s Angry bird birthday party. Because I was dipping these in white candy coating I didn’t want to use chocolate cake, so I used yellow cake and cream cheese frosting to make these. I just made a 9×13 pan of a box mix (works better than my from scratch cakes, you guys know how much I hate boxed mixes, right?). When it cooled I put the whole cake in the bosch, and mixed it with the whisks, then added the frosting and mix it up! Then I used my cookie scoop to get uniform sizes and rolled them into circles, then coned the top to create the egg shape! Toss them in the freezer…. 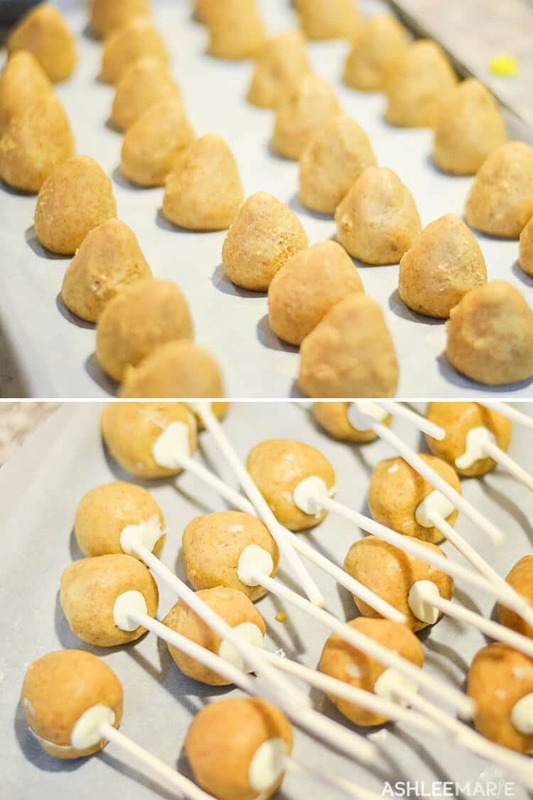 Then I pull them out of the freezer, dipped the Popsicle sticks in the white candy coating and then into the bottom of the egg shaped. And then put them back in the freezer. 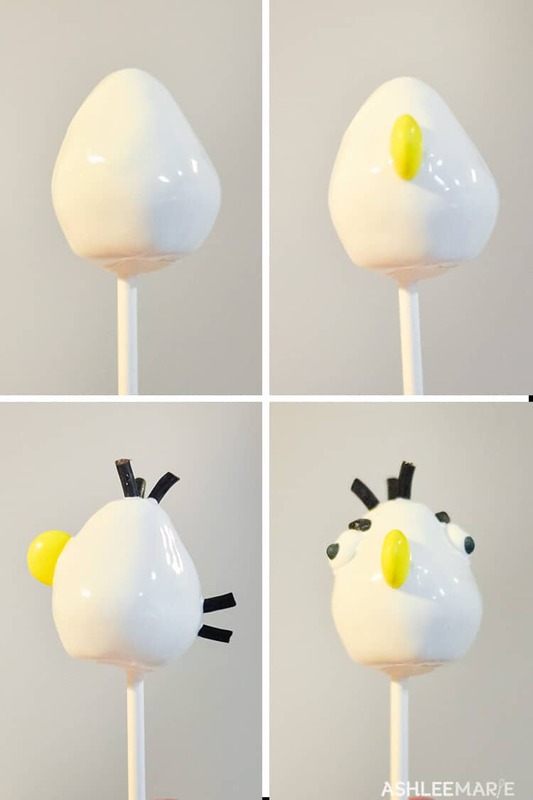 Working fast you’ll dip the egg shapped cake pop into the white candy melt, shake off the excess. Then add a yellow M&M sideways. I think the bottom of a candy corn would work good too (but I didn’t have any). Because of all the black lines on Angry Birds black string licorice works great for most pieces. And of course candy eyeballs! I bought a larger size eyeballs for Matilda (but the small one I used for Red’s Oreo pops are pictured here). So add three short strands to the top, and 2 in the back for a tail! Now the large eyeballs, I started putting them in the front, but when I started placing them more t the side I thought it looked my like Matilda! And don’t forget the eyebrows! All the rest of the cake pops!!! I love how great Matilda turned out! These are awesome! My son is so obsessed with Angry Birds right now! clearly mine is too! And has been for a few years, so it was the perfect theme, we had a ball! Awesome in every way! Pinned.